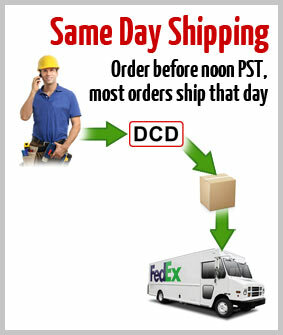 DCD Line Darts are unique for several reasons. 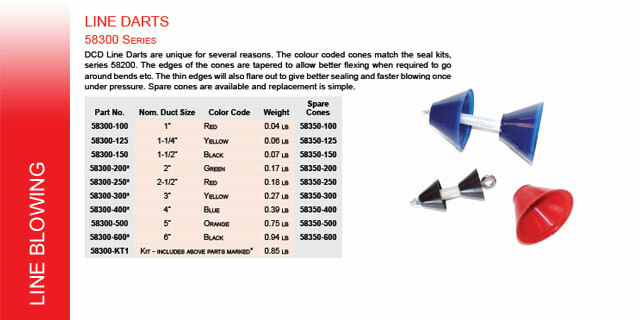 The colour coded cones match the seal kits (series 58200). 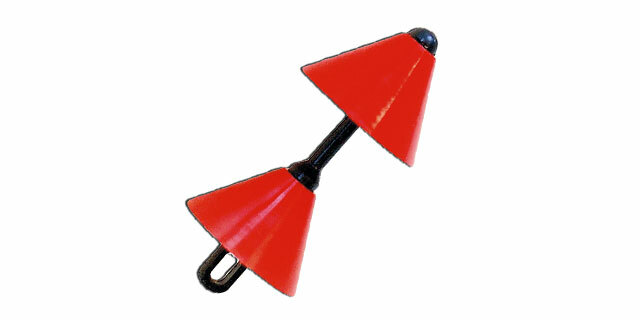 The edges of the cones are tapered to allow better flexing when required to go around bends etc. 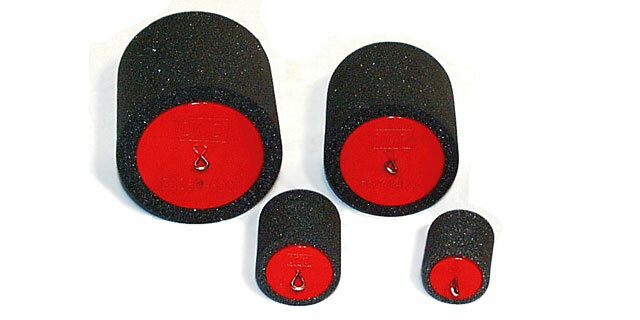 The thin edges will also flare out to give better sealing and faster blowing once under pressure. 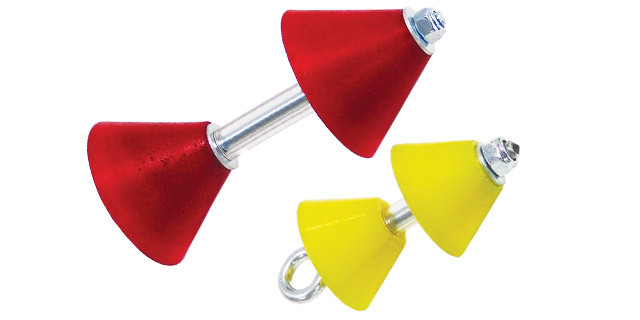 Spare cones are available and replacement is simple. 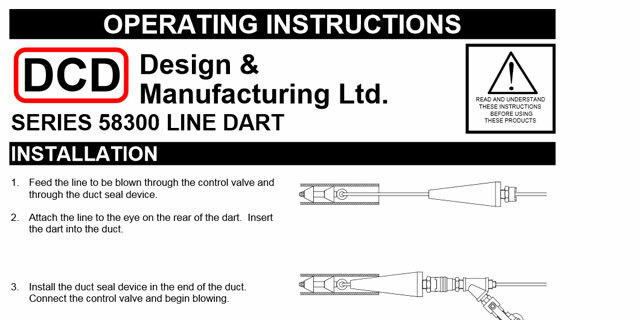 Also known in the industry as a Triple Shuttle, this device is intended to be blown through a duct with compressed air and pull tape or rope which is attached to the rear eye of the dart. 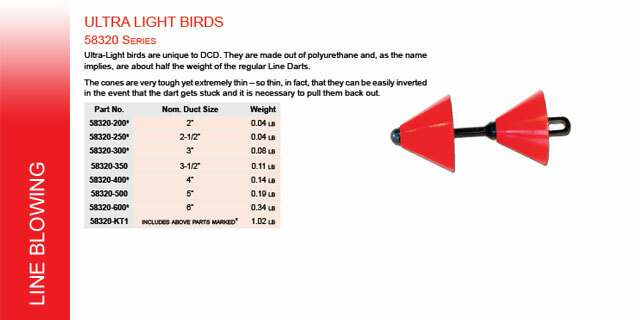 Similar to the line darts and ultralight birds, the fabric is flexible, allowing it to flex when going around bends. 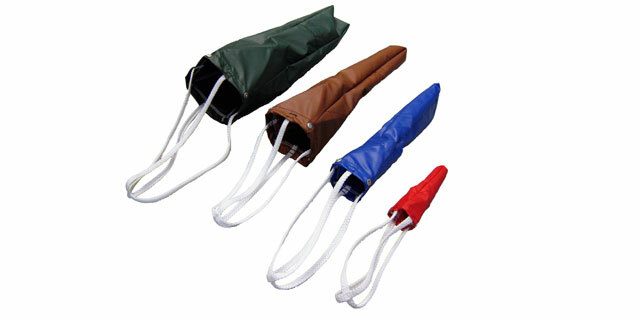 It consists of three synthetic fabric parachutes attached to our tried and tested flexible fiberglass rod. 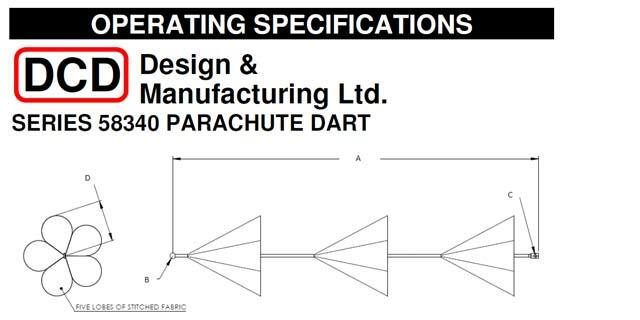 The use of three parachutes provides the best reliability in catching air and pulling the tape down the conduit. 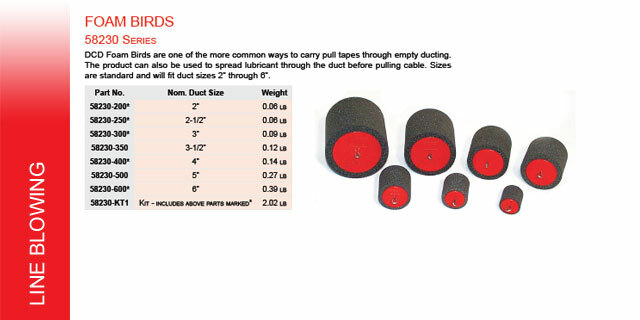 DCD Foam Birds are one of the more common ways to carry pull tapes through empty ducting. 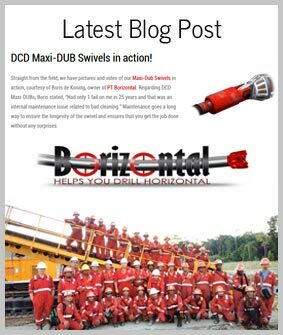 The product can also be used to spread lubricant through the duct before pulling cable. 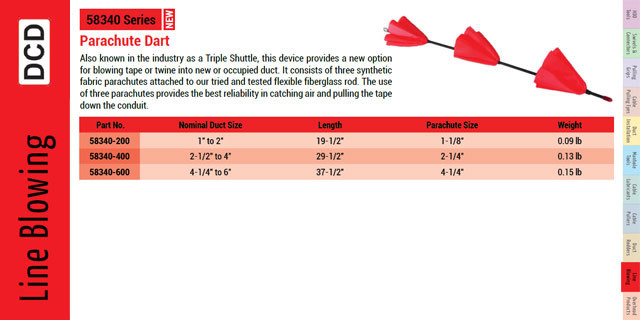 Sizes are standard and will fit duct sizes 2" through 6". 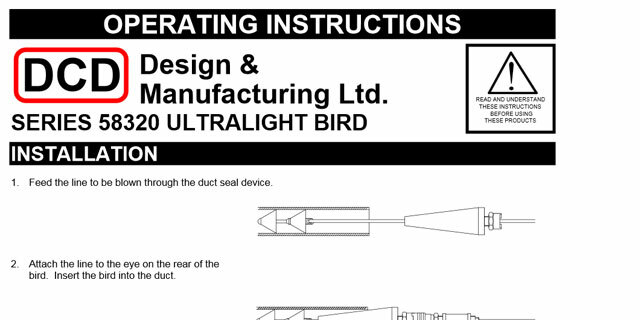 Ultra-Light birds are unique to DCD. 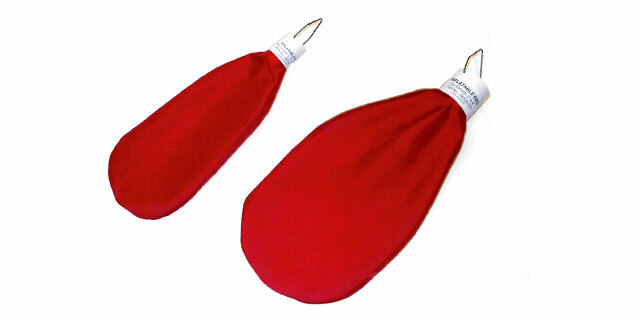 They are made out of polyurethane and, as the name implies, are about half the weight of the regular Line Darts. 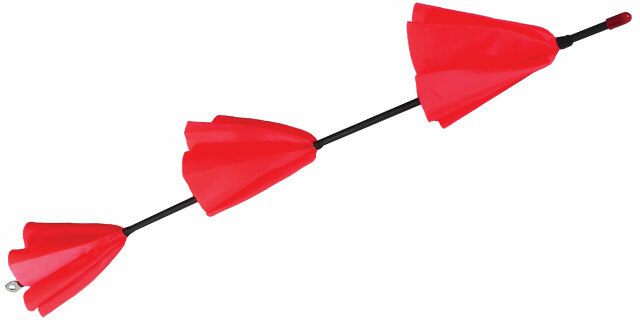 The cones are very tough yet extremely thin – so thin, in fact, that they can be easily inverted in the event that the dart gets stuck and it is necessary to pull them back out. 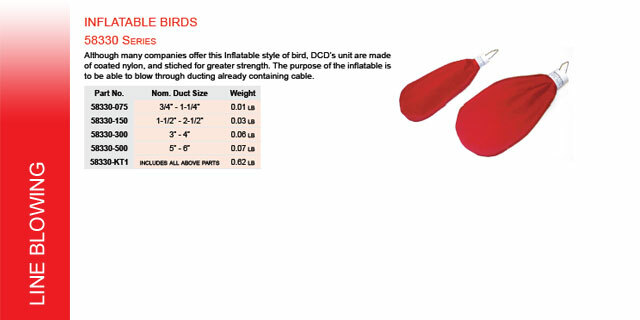 Although many companies offer this Inflatable style of bird, the DCD units are stitched for greater strength. The purpose of the inflatable is to be able to blow through ducting already containing cable. 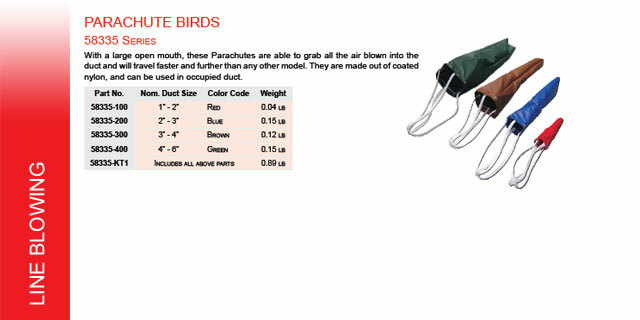 With a large open mouth, these Parachutes are able to grab all the air blown into the duct and will travel faster and further than any other model. 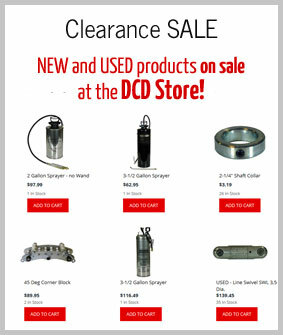 They can also be used in occupied duct.